Lately my oldest boy has been coming home from school so hungry. We’re always trying to find something he can eat that won’t be too big to ruin his dinner but enough to give him energy to play for the rest of the afternoon. 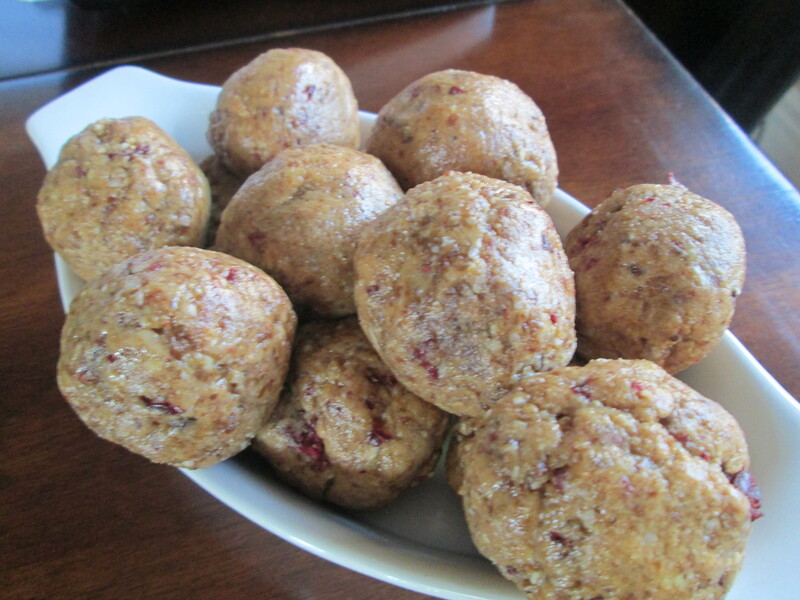 These date balls are a perfect snack since they are sweetened with dates, have lots of protein, AND the boys love them. It’s great because they can help me make them by putting the ingredients in the food processor. They like taking turns pushing the buttons as well. In a few minutes, we have a healthy snack that I can keep refrigerated for them to enjoy over the next few days. 1 cup nuts (I used almonds, walnuts, and pecans. You can use whichever nuts or any combination of nuts you prefer). Place nuts in food processor and turn on. It is always extremely loud with nuts so be prepared and warn the kids:). Once these are chopped, you can transfer to another bowl. Add the dates to the food processor and turn it on once again. This is always so loud as well. Make sure all the pits are removed from the dates. Place the chopped nuts back in to the bowl with the dates and add the additional goodies. Blend everything together once again briefly using the food processor. Take approximately one tablespoon or so of dough and roll into balls with clean hands. Place in a storage container in the refrigerator.